Many would argue that there hasn’t been a good RoboCop movie since the original film in 1987. But that hasn’t stopped MGM from trying to recapture the magic of the first movie. 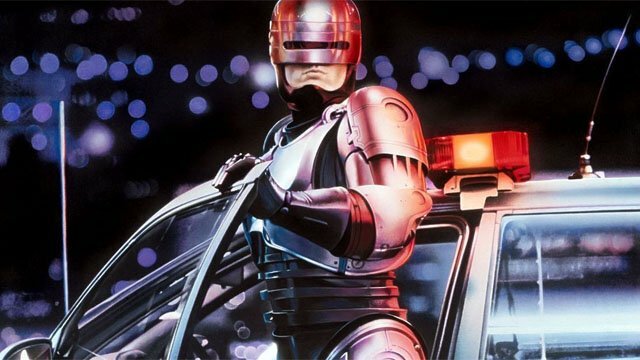 MGM continued its valiant efforts to resurrect the franchise last year when it announced that a new sequel, RoboCop Returns, is in development. Neil Blomkamp is directing the film based on a script by original RoboCop writers Ed Neumeier and Michael Miner. While speaking with HN Entertainment, Neumeier explained what fans can expect when they return to the futuristic hellscape of Detroit. Neumeier and Miner cooked up the sequel’s premise when they were still attached to write RoboCop 2. The 1988 writers strike derailed their efforts. But upon learning about their draft, Blomkamp jumped at the chance to helm his “dream project.” Neumeler also revealed that Blomkamp wants to retain the feel of Verhoeven’s film. RELATED: Neill Blomkamp to Direct RoboCop Returns for MGM! Neumeier also dropped hints about the “augmented humans” who might serve as the film’s villains. But most importantly, he expressed the filmmakers’ desire for Peter Weller to return to the series. “As you know from the press that Neill Blomkamp wants to bring back Peter Weller back and what you get when you do that if you use the DNA of the old property in the new is that you get something that shares continuity and fans can embrace the brand,” observed Neumeier. What do you make of Neumeier’s latest remarks about RoboCop Returns? Tell us what you think in the comment section below!